Nalo Hopkinson announced at WisCon 40 she is creating the Lemonade Award for kindness and positive change in science fiction. There are many people who do good in this field, who perform small and large actions of kindness and welcome every day. I’d like to encourage more of that. Sherryl Vint, of the Science Fiction and Technoculture Studies Programme at the University of California Riverside, will manage the nomination/adjudication process. Hopkinson will do fundraising. Follow the Lemonade Award on Twitter. Volunteer offers & cash donations are starting to come in for the @lemonadeaward! This is going to happen! Thank you, #sciencefiction fam! (a) Email a note to lemonadeaward@gmail.com, informing us how much you’re donating. Don’t skip this step. It’s the only way the Spec Lit Foundation will know that the donation is for us, not them. Offers of help can be emailed to lemonadeaward@gmail.com. Melissa Conway, the director of the world’s largest collection of science fiction and fantasy, announced her retirement on January 3, 2015. 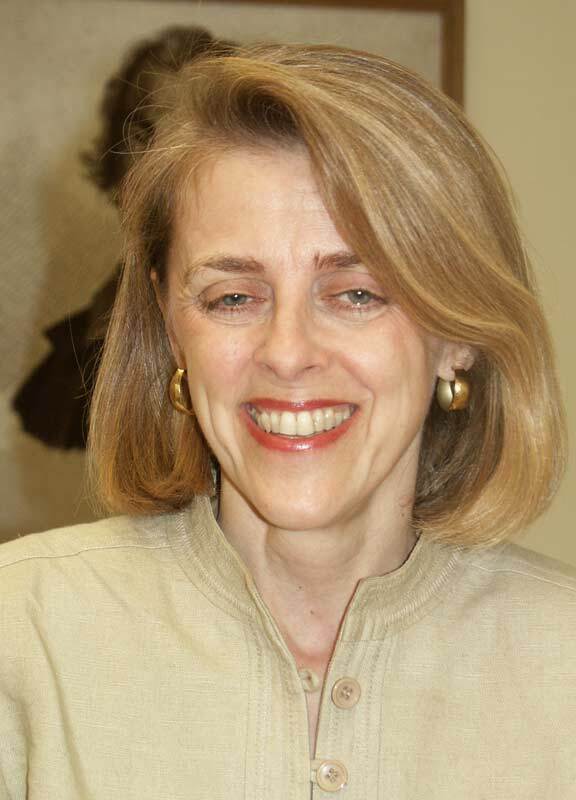 Conway has been at the University of California Riverside for thirteen years, arriving as Head of Special Collections in May 2001. Conway followed her husband to the west coast, having previously worked at the Library of Congress, the Folger Shakespeare Library, Yale’s Beinecke Library, and a private art collection in Washington, DC. Conway, a specialist in medieval and Renaissance manuscripts with a Ph.D. in Medieval Studies from Yale University, had no scholarly background in science fiction when she came to UCR. “George Slusser was the Eaton Curator when I arrived, so I didn’t have to worry about promoting the Eaton,” explained Conway. But when Slusser retired shortly after she arrived and UCR decided to hire a University Archivist instead of another science fiction specialist, Conway realized she had to learn about science fiction—and quickly! “I didn’t want to be responsible for the decline of the world’s largest science fiction research collection!” she says. Conway took her role seriously, and was particularly pleased when the Eaton was assessed in an independent study as the leading science fiction research collection among Association of Research Libraries in 2006. 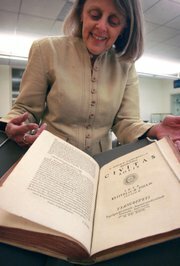 Melissa Conway, head of Special Collections & University Archives at UCR, displays a rare first edition of Utopian writer Tommaso Campanella’s “Civitas Solis” (City of the Sun), written in Latin in 1623. Highlights among Conway’s accomplishments include reviving, in 2008, the Eaton Science Fiction Conference after a nine-year hiatus, making it not only financially self-sustaining but also profitable; establishing the Eaton Lifetime Achievement Award in Science Fiction, honoring SF masters Ray Bradbury (2008), Frederik Pohl (2009), Samuel R. Delany (2010) Harlan Ellison (2011), Ursula K. Le Guin (2012), Ray Harryhausen and Stan Lee (2013); increasing the holdings of Eaton by 40%, largely through donations and grant funding; raising more than $5 million dollars in gifts-in-kind and cash donations, including the 1517 Paris edition of Thomas More’s Utopia, the science fiction fanzine collection of Bruce Pelz, the anime and “furry” collections of Fred Patten; the 1623 edition of Tommaso Campanella’s Civitas Solis; the Jane and Howard Frank Collection of the papers of Edwardian horror writer William Hope Hodgson; the papers of Anne McCaffrey; and the photographic archive—and $3.5 million cash endowment—of Jay Kay Klein, the largest cash gift to the UCR Library in its sixty year history. Conway even found ways to combine her background in medieval studies with science fiction, including having been chosen in 2009 to participate in a National Endowment for the Humanities Seminar in Florence, Italy on Dante and The Divine Comedy, for her project on Dante’s influence on more than fifty works of SF.